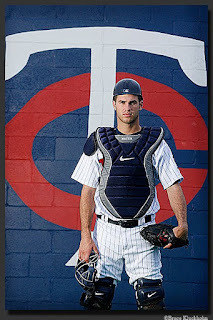 As promised in my post about the Colorado Rockies, I will not take a look at the 2010 season for the Minnesota Twins. I have been following the Twins my entire life. I was fortunate enough to watch two Twins World Series victories in 1987 and 1991. Of course, I was only 5 and 9 during these years. Not exactly the best ages to explicitly remember exactly how everything went down. After the 1991 season, the Twins decided to be the laughingstock of baseball (kind of like the Pirates and Nationals are now) and almost got contracted by Bud Selig. After several years of wallowing in the bottom of the AL, they changed their management approach, just as the Rockies would do years later. They reduced their payroll, made better drafting decisions, and created one of the best farm systems in baseball. 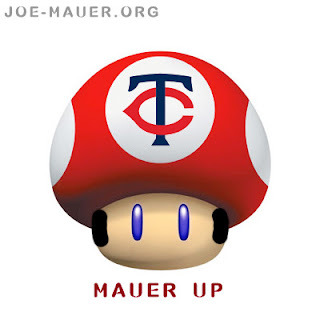 The result has been years of a competitive Twins team that has won the AL Central five of the last eight years. They have also fizzled out in the playoffs every year (6-18 in their last 5 trips to the postseason), but whatever. Think the Royals or Blue Jays would trade places with the Twins? I sure do. A trip to the playoffs every year is still better than being on the outside looking in. At least you have a chance (until you ultimately get raged by the Yankees, like the Twins do EVERY FREAKING YEAR!!). This offseason, the Twins have slightly varied from their small market mentality. They added a couple of higher profile free agents (albeit at a reduced price) in Jim Thome and Orlando Hudson and traded for another in J.J. Hardy. Their payroll may actually even jump up into the top 10 payrolls across the league, depending on if they can extend the contract of the franchise, Joe Mauer. Despite the uncharacteristic payroll splurge, the team is still filled with locally grown products, especially through their starting rotation. They have arguably the best manager in the game, the best catcher in baseball, a top 5 first baseman, and a top 5 closer. While this might not be the best team that the Twins have fielded during my lifetime, there is no doubt that they are the favorites to win the AL Central for the 6th time in 9 years. Consistency, people. This lineup is approximately 1 million times more lethal than last year's lineup. No joke. 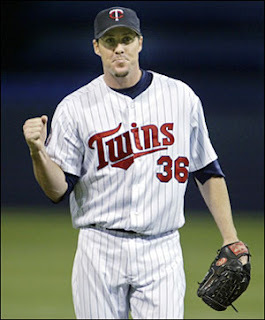 The Twins effectively replaced Nick Punto, Brendan Harris, and Orlando Cabrera with Nick Punto, J.J. Hardy, and Orlando Hudson. Why would you not expect a gargantuan improvement to the offense from these positions? Punto is scrappy player 1C behind David Eckstein and Jamey Carroll who has huge swings in production from year to year. Last year was a down year. That means 2010 will be a good year for Little Nicky Punto. Hardy struggled through his last season in Milwaukee. An incredible defender, he just could not get his previously hot bat going throughout 2009. I think a change of scenery and the fact that he will be pushed deeper into the lineup will let him relax and find his hitting groove again. As for Orlando Hudson, all this guy has done in the past several years is produce. Combining Hudson with Span at the top of the lineup will create ample RBI opportunities for the big bats behind them. With Mauer, Morneau, Kubel, and Thome, this lineup could be a murder's row for opposing RHPs. Good luck getting through this high average, high power, left handed leaning lineup. I do worry about the depth in the outfield. Before the Hardy trade, Carlos Gomez was a great 4th outfielder with an incredible upside. Now the Twins may end up relying more on Kubel or a utility infielder (Tolbert, maybe) to fill any backup outfield spots. The corner outfield positions might be the weak link on a otherwise solid defensive team with Young and Cuddyer not exactly being Gold Glove material. The pitching rotation is pretty much set with the top 4 guys as close to locked in as you can be at this stage in the spring. The question mark comes in the 5th spot. Brian Duensing has a chance at this spot. Hell, he started Game 1 of the ALDS last year. You have to look at him for a rotation spot. The reason I am inclined to include Liriano instead of Duensing is all the reports I have heard coming from the Dominican League this winter. Twins personnel, rival scouts, and fans are all saying that Liriano is finally back to where he was before undergoing surgery a couple years ago. The one-time heir-apparent to Johan Santana looks to finally be back to his ace of the rotation act. This could not make me any happier. It seems like the more question marks the Twins have in the pitching staff, the better it ends up being. I think they have the depth and now a bit of experience to assist that ridiculous lineup. The bullpen is hopefully getting back Pat Neskek, who was out last season. All that guy did in 2008 was become one of the best setup guys in the game. Hopefully he can return to that form and the other young pitchers continue to progress. Regular Season Prediction: 91-71, 1st in the AL Central.